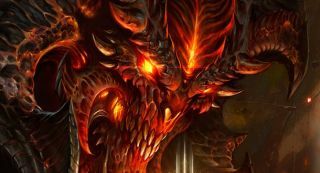 Want to coop with your Level 70 mates but lack a similarly levelled Diablo 3 character? Never mind, because as the above video demonstrates, it's actually possible to reach level 70 in a single minute. While most power levelling expeditions tend to last an hour or more, Twitch streamer Datmodz stands around in a high level dungeon while his mates rake in the XP, tapping a variety of buffs and equipping a couple of different rings in order to expedite the process. It's pretty funny if you're into Diablo, but if you're not, you may appreciate the pretty colours. Check out my recent story on speedruns for more videos of things done quickly.